The internet is a vital tool for education, work, socializing -- and, in some countries, for stifling citizen discontent. An unprecedented internet blackout in the Central African country of Gabon is the latest in a trend of communication censorship. 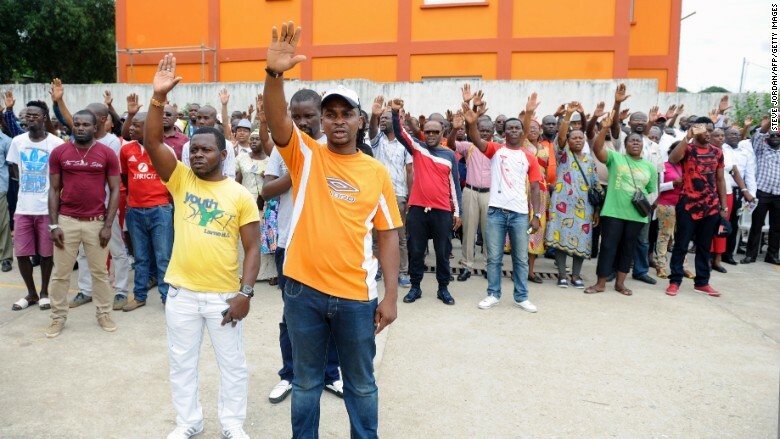 On August 31, President Ali Bongo was reelected for a second term, a contested result that was followed by protests in which several people died. The internet shut down completely for four days, according to internet performance management company Dyn. And even after it was restored, there has been an "internet curfew" with connectivity being nonexistent between 6 p.m. and 6 a.m. every day. 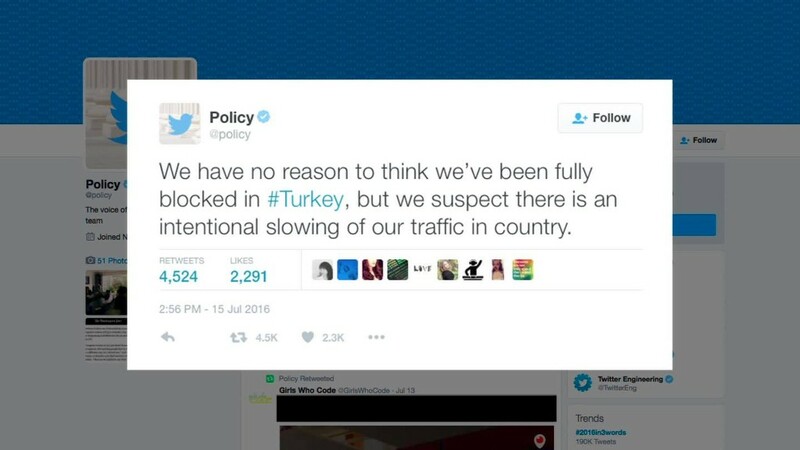 Social media services including Facebook (FB), Twitter (TWTR) and WhatsApp remain entirely blocked at all times of the day. The curfews were first reported by Motherboard. The government of Gabon publicly denied that it had blocked internet access after the election, and did not respond to CNNMoney's request for comment. Activist Julie Owono of Internet Sans Frontières called it a "cyberwar" targeted at people trying to document the election, and said service disruptions began even before the election. Her organization works with organizations in the affected countries to help citizens avoid outages. 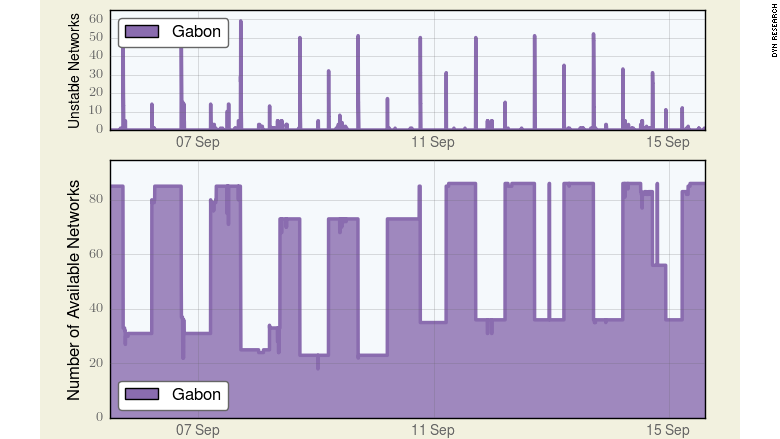 It monitored bandwidth in Gabon and noticed it was operating at a fraction of its normal capacity in the days leading up to the vote. Owono said citizens shared photos and videos of election "irregularities" on platforms like Periscope and Facebook before the internet shutdown. UN Secretary General Ban Ki-moon issued a statement condemning the censorship before the country reinstated partial service. In 2011, the UN declared blocking internet access a violation of human rights. According to Owono, restoring internet access during working hours could be an attempt to placate the international community -- while still controlling what information people are allowed to access. Digital rights organization Access Now has documented 40 major internet disruptions in 25 countries in 2016. Social media or internet outages have coincided with elections in Uganda, Chad, and Congo-Brazzaville. Meanwhile, Ethiopia restricted internet access during protests in August. Deji Bryce Olukotun, senior global advocacy manager at Access Now, emphasized that curtailing internet use during an election is an attempt to censor free expression and sway the election. Dyn monitors the ongoing blackouts in Gabon. The purple spikes show the times when networks are available. Gabon's internet curfews are unique because experts say it's the first time since the Arab Spring in 2011 that a country has used scheduled, continuous internet censorship. "It's difficult to block individual pieces of content on channels, so they have to block everything or nothing. You have to block Facebook, they just can't block a group on Facebook," said Karl Kathuria, CEO of Psiphon, a software firm that provides tools to bypass internet blockages. "[They decide] it's worth the slight damage it causes reputation-wise internationally in order to stop people from communicating on these platforms." Ten days ago, Psiphon had hardly any users in Gabon; but Kathuria said thousands are now using the software. This is not uncommon. When countries implement social media or internet restrictions, Psiphon's user numbers surge, and many people continue to use the security tool even after the bans are lifted. In addition to Psiphon, Gabonese citizens are also using virtual private networks (VPNs) and anonymity software Tor to circumvent the block. Completely shutting down the internet in countries like Gabon is possible because there is often just a single telecommunications provider. "A chokepoint makes it easy for someone to cut off internet to the outside world," Dyn analyst Doug Madory said. "In the U.S., you have many providers with various routes of domestic connectivity. It would be hard to shut off internet."